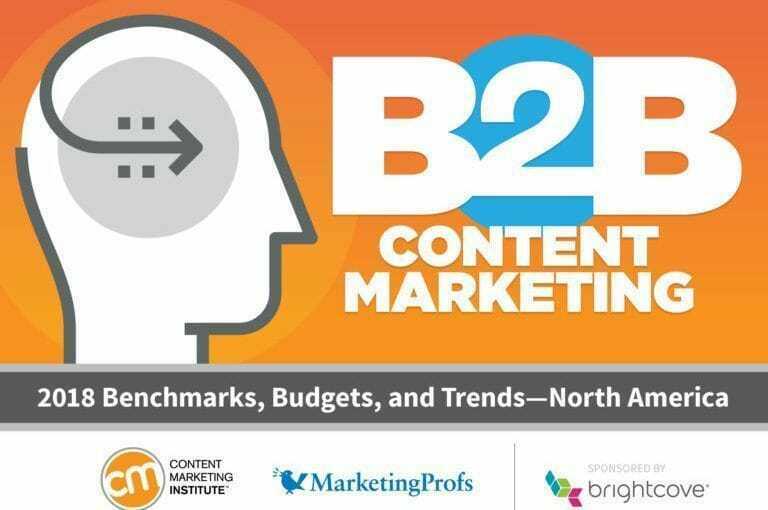 Last week, Content Marketing Institute and MarketingProfs released their annual B2B Content Marketing Study that dives into the practices and habits of B2B content marketers in North America. Content marketing is a key component of any customer experience strategy and while the overwhelming majority of B2B organizations are producing content, the study shows that successful execution may still be elusive. In looking at this year’s study there are some thoughts and musings I have listed below. Content Marketing Continues Upward… But Is It Successful? According to this year’s study, 91% of organizations are using content marketing (an increase of 2% compared with last year’s study) and 38% of respondents expect that their spending on content marketing will increase next year. While there is no doubt that content marketing is a necessary and useful discipline to drive customer engagement, the majority of B2B organizations do not truly understand the impact it is having within their company or their audience. Given that so much time, effort and money is being spent on content marketing, it is incumbent upon marketers that they begin to measure the impact content marketing is having on corporate performance. Regardless of “no formal justification being required “, as 38% stated. If content marketers are going to know if they are successful, then they must measure the outcomes of their work and be able to show the impact they are making. When asked how committed their organizations were to content marketing, 63% of organizations stated they were either extremely committed or very committed to content marketing. However, this “commitment” does not seem to be producing success, as only 24% of respondents stated they are “extremely successful or very successful” with their organization’s approach to content marketing. Simply creating content is not commitment. Being able to demonstrate the profitable actions that customer acre taking in response to content is what will demonstrate commitment. When asked if they have a content marketing strategy, 37% stated that they do indeed have a strategy and it is documented. Another 38% of respondents stated they have a strategy but it is not documented. Any strategy that is not documented and known by key stakeholders in the organization is no strategy at all. Strategies are documented and not merely spoken. B2B content marketing professionals need to stop fooling themselves into thinking that having a discussion about their approach to content marketing is akin to a strategy. For organizations to see success in their content marketing performance they need to document their strategy and re-visit on a regular basis. This allows them to see what adjustments may need to be made and how they are following this strategy, simply talking about it is not strategic in any way. Content marketing is a must for any organization looking to connect with their customers; however simply generating content for content’s sake is not a viable approach. This year’s study, as in years past, shows that content marketers are still struggling to make an impact. I believe it may be time to slow down the content factory and be more customer-centric and purposeful in the approach to content marketing.